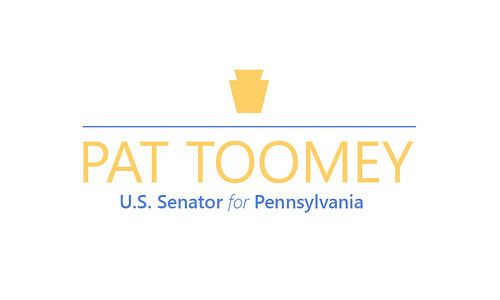 Washington D.C.-Senate Finance Subcommittee on Health Care Chairman Pat Toomey (R-Pa.) and Finance Committee Chairman Chuck Grassley (R-Iowa) are pursuing stronger oversight and integrity of Medicaid payments, of which nearly ten percent have been improper in recent years. The entire budget for the National Institutes of Health is smaller than the amount of erroneous payments made by Medicaid. "To maintain public confidence in such a large commitment of national resources, it is essential to ensure these dollars are spent as Congress intended-namely, to provide specified health and long-term care services for low-income Americans, with a historical focus on the aged, disabled, children, and families. Unfortunately governmental efforts to ensure Medicaid payments are spent prudently have fallen short," the senators wrote in a letter to Seema Verma, the administrator of the Centers for Medicare and Medicaid Services (CMS). Under the traditional Medicaid program, the federal government pays roughly 58 percent of the health care costs of low-income aged, disabled, children, and families. States pick up the remaining amount. The Patient Protection and Affordable Care Act expanded Medicaid to cover low-income adults without dependents, but at a cost of 90-plus percent to federal taxpayers, giving states a huge financial incentive to improperly categorize enrollees. The federal government is required by law to recoup any improper Medicaid eligibility-related payments when they exceed a de minimis threshold, but CMS has apparently made no efforts since 1992 to recover any of these improper payments. The senators asked CMS for data on recoveries and eligibility error rates to better understand the depth and breadth of the problem. They also asked CMS to identify any further statutory authorities that could help enforcement and recovery efforts. Full text of Toomey's and Grassley's letter follows. Section 1903(u) of the Social Security Act requires, except in certain limited cases, that the federal government recoup Medicaid eligibility-related improper payments in excess of three percent made by states. A series of disturbing reports by the Department of Health and Human Services Office of the Inspector General (HHS OIG) and the Louisiana Auditor General suggest that the government needs to do more to uphold Section 1903(u) and safeguard the integrity of the Medicaid program. Collectively, the fifty-six Medicaid programs in our states and territories make up one of the largest health insurance programs in the developed world, covering an estimated 97 million individuals in 2018, including an average of 76 million in any given month. It represents a considerable investment on behalf of the American taxpayer with an anticipated $7.8 trillion in spending over the next decade, of which approximately $4.8 trillion will be paid by the federal government. To maintain public confidence in such a large commitment of national resources, it is essential to ensure these dollars are spent as Congress intended-namely, to provide specified health and long-term care services for low-income Americans, with a historical focus on the aged, disabled, children, and families. Unfortunately, throughout its history, governmental efforts to ensure Medicaid payments are spent prudently have fallen short. In 2018, the rolling national Medicaid improper payment rate was 9.79 percent. This stunning error rate actually represented an improvement upon the prior year, which itself was an improvement upon 2016. For context, Medicaid often makes more erroneous payments than Congress appropriates for the entire budget of the National Institutes of Health. Section 1903(u) of the Social Security Act requires the government to "make no payment for such period or fiscal year with respect to so much of erroneous excess payments as exceed such allowable [eligibility] error rate of 0.03," but CMS determined more than twenty years ago to focus "on prospective improvements in eligibility determinations rather than disallowances" and there have been no efforts made to recoup payments since 1992. In fact, on July 5, 2017, CMS finalized a rule on the Medicaid Eligibility Quality Control and Payment Error Rate Measurement (PERM) programs that specifies efforts to actually recoup funding in compliance with Section 1903(u) will not even begin until next year, and even then only in limited circumstances when a state has failed to even make vaguely defined "good faith" efforts to improve eligibility determinations. Finally, in the exceptional circumstance when a state does not make a "good faith" effort to improve eligibility determinations, CMS has indicated it will at most pursue disallowances in one out of every three years. The apparent lack of effort in recouping misspent federal money is problematic. Recent reviews by HHS OIG of beneficiaries made newly eligible by the Patient Protection and Affordable Care Act (P.L. 111-148, as amended), also known as Obamacare, found more than seven percent of beneficiaries were potentially ineligible in Kentucky, more than 25 percent were potentially ineligible in California, and more than 30 percent were potentially ineligible in New York. In Louisiana, a state Department of Health audit found an astounding 82 percent of recipients ineligible in a random sample. Diligent federal oversight and legitimate threats of enforcement and disallowances like those specified under Section 1903(u) are essential in Medicaid because the statutory funding mechanism naturally reduces incentives for states to pursue rigorous program integrity efforts. For every dollar saved by states on traditional beneficiaries, the states on average only get to keep 43 cents. For reducing one dollar on waste, fraud, or legitimate errors in the expansion population made eligible by Obamacare, the states save only 7 cents (10 cents starting in 2020). Furthermore, if states accidentally enroll an individual as an expansion enrollee instead of a traditional enrollee, states are perversely, and significantly, rewarded for their error, unless the federal government subsequently takes action to recoup those mistakenly paid funds. 1. Has CMS attempted to recoup any improper payments related to erroneous eligibility determinations under Section 1903(u) of the Social Security Act since 1992? If so, please identify the overpayment amount and the recoveries by state and year. 2. What are the state by state Medicaid eligibility error rates since the PERM program began tracking this metric in 2008? 3. What are the state by state Medicaid eligibility error rates for traditional eligibility pathways versus the newly eligible pathway created by the Patient Protection and Affordable Care Act since the expansion in 2014? 4. What additional statutory authorities would be beneficial for the purpose of enforcing Section 1903(u)?